Dubai – UAE, 17 April 2016: This coming April 25, Global Innovations will once again showcase its cutting-edge product at the Arabian Travel Market 2016. 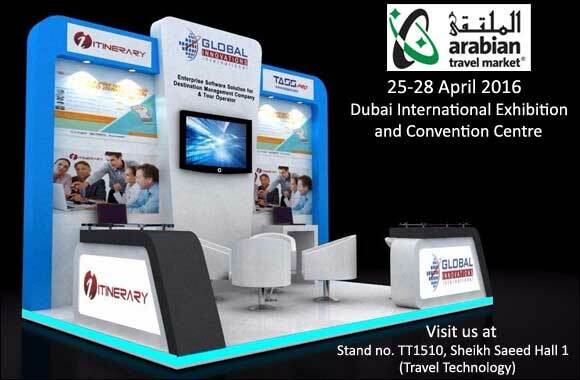 Continuing its commitment to introducing the most updated tools for the automation of the tourism trade, the travel technology company is all set to participate in this most awaited international event for the Middle East inbound and outbound travel industry. Global Innovations has been around the industry for 13 years and has introduced the product I-Itinerary years ago -- a fully-integrated enterprise level software solution for mid and large-sized DMCs and tour operators. The company has been helping clients substantially bring down their costs and improve their day-to-day business processes. Over the years, Global Innovations has been keeping up with the ever-evolving trend in the tourism trade and thus re-innovating and revolutionizing their software to meet the industry’s needs. This coming ATM 2016, Global Innovations will be presenting its latest developments: A newer version of their software called I-Itinerary 4.0, which will showcase more advance features of the modules B2B, Back Office, Contracting and Financial. An upgraded software, TASS-pro 2.0, which is a highly developed ERP solution for small and mid-sized DMCs will also be introduced. Finally, a software for the Hajj & Umrah trade in Saudi Arabia will be highlighted during the said event. It is a powerful automation tool that can entirely manage and perform Hajj and Umrah operations. This 4-day event from April 25 to 28 at the Dubai International Convention & Exhibition Centre (World Trade Centre) is a big opportunity for visitors all over the world to gain insight about Global Innovations’ products and solutions and witness their product demonstrations. Find out more about Global Innovations by visiting their team at Stand no. TT1510, Sheikh Saeed Hall 1 (Travel Technology).